Customer experience management company Medallia has selected McLean, Va., as the location of its public sector arm’s headquarters facility. Medallia said Wednesday it aims to help government clients integrate public comments and obtain a unified view of citizen experience with a single technology platform. The company designed its Experience Cloud platform to process citizen feedback from surveys or digital engagements that employ machine learning tools. Brian Michael, general manager of Medallia’s public sector group, said his team will work with customer agencies to help them understand a citizen’s experience through multiple communications channels. 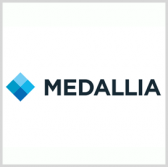 Medallia provided its customer relations management and survey software to the Department of Veterans Affairs as part of a contract awarded in March last year.